Wait, did that catch your eye? It had caught my attention too. Now spin your mind a bit and come up with points that you know about voodoo spells. Do you think they are associated with animal sacrifices (probably humans too)? Do you think voodoo is all about voodoo dolls and hurting others? I think an affirmation is the answer to both the questions. All thanks to popular culture! You’ll be glad to know that voodoo is not about possession and vengeful witchcraft. It is an old tradition or religion that is very much alive in today’s modern world too. While it is true that voodoo has been used for good and bad purposes but it is not fair to judge people who practice good voodoo on the basis of the deeds performed by those who practiced bad voodoo magic. Voodoo is not a single religion. It is, in fact, a fusion of various religious practices from Africa that takes on different characteristics in different locations. The most central feature of voodoo is the “service” i.e., all the religious rites that the voodoo practitioners perform. These rites are usually performed outside either under a roof of some sorts or around a central pole. Almost in every rite, a spirit takes over the body of one of the people. The body then, becomes a vessel in which the spirit has taken residence temporarily. There are several other such aspects which are important in the formation of voodoo as a religion. People, however, are still not fully aware of what voodoo actually entails and I took it upon myself to share with you some of the facts about voodoo that you might not have known earlier. 10. Different Schools of Voodoo. Yes, as has been mentioned before, voodoo adopts different characteristics in different locations. There are three main such schools. 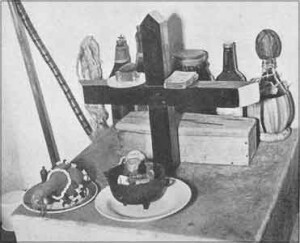 The first is the West African voodoo which is mainly practiced in the place of its origins. It has been significantly influenced by Roman Catholicism. 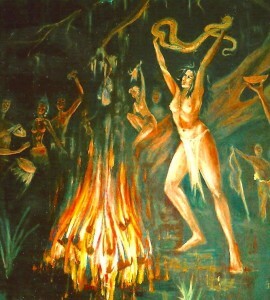 The second school, the Louisiana voodoo has also been influenced by Roman Catholicism but more so by the French, Spanish and Creole populations that used to reside in Louisiana.The third school known as the Haitian voodoo was greatly influenced by the African slaves from France. Roman Catholicism again had some of its effect on it. All the three schools share some similarities and some differences. Voodoo is mainly practiced in the Central, North, South and Central America in different forms and with different characteristics. 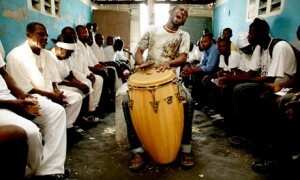 However, studies have showed that Haiti is the main primary source of voodoo and its further development and evolution. Christopher Columbus discovered Haiti in 1492. Arawak Indians who were its native inhabitants used to call it Ayiti because of its mountains. But during the sixteenth century, the Europeans started exploring and exploiting this place and its inhabitants for their own profit. Through the slave- trade system, they shipped countless Africans to Haiti to work on the plantations as cheap labor. These Africans were shipped from different regions of Africa who all had their own different beliefs and practices. Although heterogeneous, voodoo has some Universal beliefs and practices that, together, contribute towards the essence of their religious system. This system also includes belief in witchcraft, magic and sorcery apart from one Supreme God and lesser spiritual beings. The slaves who were brought from Africa were forbidden to practice their religious belief publicly and their owners wanted them to convert to Christianity. Since they also feared an uprising, the slaves were not allowed to gather together even for religious practices. The owners introduced the slaves to the basic elements of Christianity because they didn’t want them to delve too much into it. Thus, even though the slaves converted to Christianity, they also remained in touch with their traditional beliefs. 8. Similarities between Christianity and Voodoo. As has been mentioned in the previous point, the slaves of the sixteenth century who were brought to Haiti to work as laborers were converted to Christianity by their owners. However, they did not forego their traditional beliefs even after the conversion. On the contrary, they found some similarities between the two religious systems and focused on them. For instance, the West African Traditional Religious System also believes that there is a Supreme Being to whom the humans cannot approach. Similarly, they also firmly believe in lesser spiritual beings/ spirits whom they consider to be the offspring of the Supreme Being. These lesser divinities serve as intermediaries between the Supreme Being and humans. They even rank their divinities in different order and each divinity has a specific sacred object. Temples and shrines are made in their names and sacrifices are offered to them frequently. 7. The evil side of Voodoo. Voodoo believes in magic, witchcraft and sorcery. Magic and religion have so-existed together for a long time. Magic is nothing but a ritual through which human and natural events can be influenced by accessing external mystical forces. It involves a different form of manipulation of different objects that cause a supernatural being to act in a certain way. Witchcraft and sorcery are the evil side of voodoo. It is used to inflict pain, misfortunes, sudden deaths, poverty, accidents and what not! 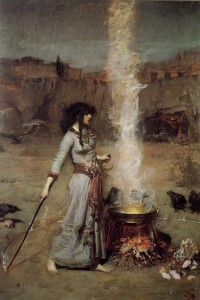 Although evil, witchcraft and sorcery are considered to be those powers that have been inherited from the divinities. 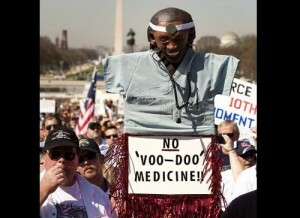 A voodoo doll is nothing but an effigy that is used in the voodoo religion. It is a representation of the person who wants/ desires to appeal to the spirits that voodoo believes in. Movies and television shows have portrayed them in a different way when in reality, voodoo dolls are a lot of more complicated. They are mostly believed to be the source of negative forces and pain. That is only half side of the coin. These dolls can be used for the good too. They can be used to bring love, protection, success and healing too. However, they used for nefarious purposes as well. A voodoo doll does not symbolize a person in a way where whatever happens to the doll will happen to the person too. A doll can only be associated to a person if something (anything intimate) belonging to that particular person is attached to it. For instance, a lock of hair or picture of the person himself. Other ingredients that are used vary from one purpose to another. They are used to appeal to the spirits or divinities so that they can open themselves to the doll and the wishes and desires of those involved. Marie Catherine Laveau was the illegitimate daughter of a rich Creole plantation owner named Charles Laveaux and his half- black, half- Indian mistress named Marguerite. Her first marriage ended when her husband mysteriously disappeared. She soon entered a common- law marriage with Christophe de Glapion who gave her fifteen children. Also known as the “Widow Paris”, she apparently learnt her craft from a “voodoo doctor”. Marie took charge of many of the ritual and soon came to dominate over them. Since, she was also a hairdresser, she had an intimate contact with many powerful families of New Orleans. She also developed her own network of informants. She used this information to give advice to others and also procured gris- gris for those who wanted to make a charm, cure or a hex. It is believed that her daughter Marie Laveau II followed in her footsteps. 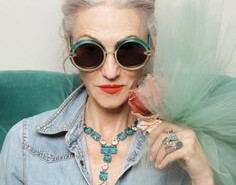 Since, she was her mother’s look- alike, it was believed by many that the older Marie was actually living in a perpetual state of youth. The mystery, however, was later solved. Voodoo tradition has been orally passed down from one generation to another. Singing then, becomes a very important part of it. It is an integral part of worship. It was generally accompanied by foot stomping and clapping. The songs that are sung in the rituals at times describe the deities and their likes and dislikes or else are sung in such a way as if the deities are talking to them directly. The songs are used to open the gates between the worlds of the deities and the humans. Contrary to people’s beliefs, the innate aspect of voodoo is to heal. Spirits are called during rituals to aid healing. Their healing is not only restricted to the physical being but also to the spiritual being. Voodoo healers mainly heal wither herbs and faith healing and they also, don’t shy away from turning towards modern medicine when the other two don’t bring about required results. Snakes are very important in voodoo system of religion. They are not considered as the symbols of evil but are rather known for their intuitive knowledge. Voodoo rituals in New Orleans always involve snakes in order to celebrate this link to the intuitive knowledge that the snakes carry. Voodoo is still misunderstood by many. Since 1800’s, it has been portrayed in a demeaning and derogatory manner by the newspapers and various other agents. As a result, people mostly associate it with zombies, depraved acts, animal sacrifices, spirits and ghosts. If that was not enough, it has also been used to distort the image of the blacks as they are considered to be the purveyors of voodoo. Voodoo has a religion is rich in history and also, widely complicated. Knowing a thing or two won’t make you an expert on this form of religion. Since it also has an old association with Christianity, it is also necessary to have a good knowledge of the Christian beliefs and practices. One cannot restrict voodoo to black magic alone. It is a very old form of religion which needs to be treated as such so that others too can study about it first and then, form an opinion later.